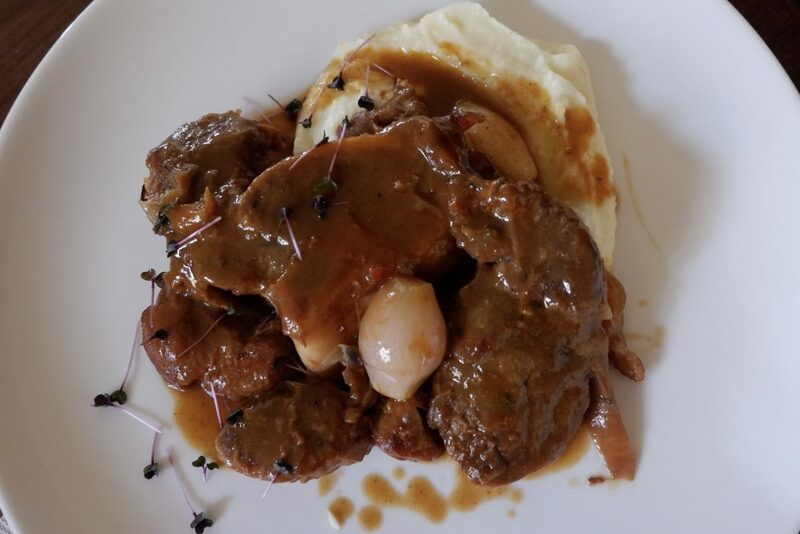 Greek dining often means good food and good wine, but truly great Greek dining is hard to find even in the country itself, amid all the commercialized establishments. Of course, the trick is always to go where the locals recommend. 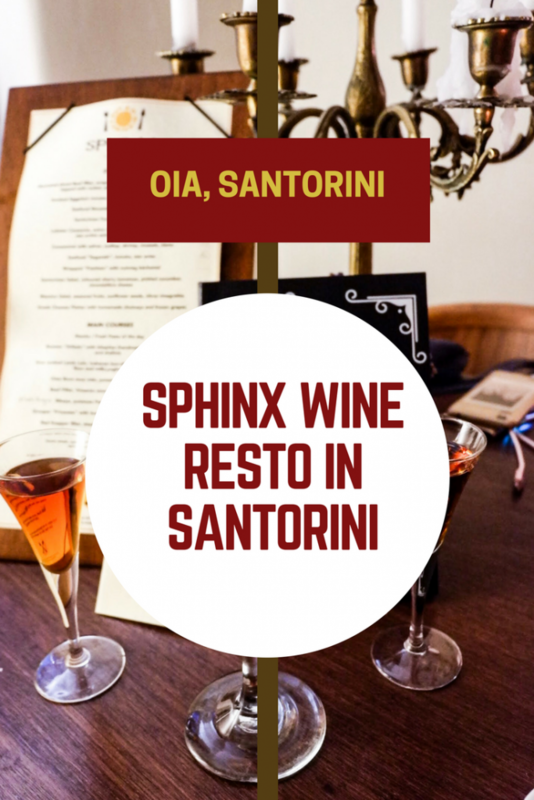 We did this when we went to Oia, and we were not disappointed — after all, we found Sphinx Wine Restaurant and had a blast! 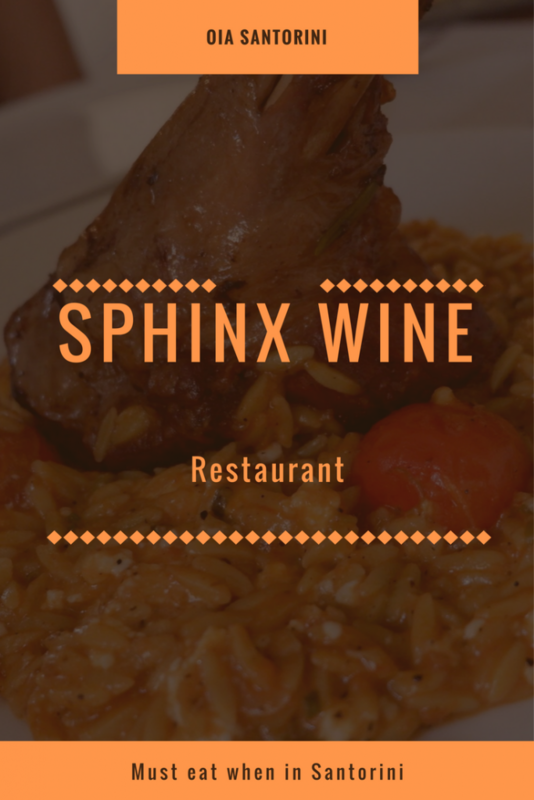 The idea behind Sphinx Wine Restaurant formed in the mind of George Psychas as he watched his wine collection grow. 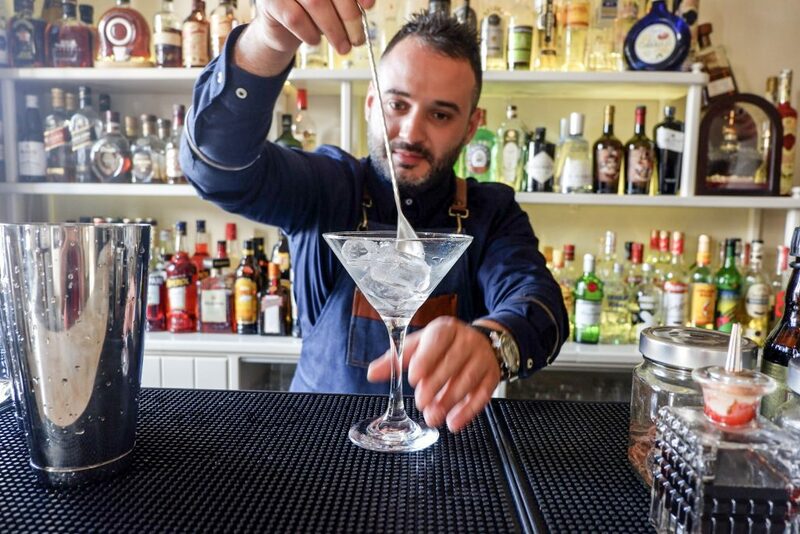 He had previously established three successful branches of his Sphinx Restaurant, within Santorini and Athens. 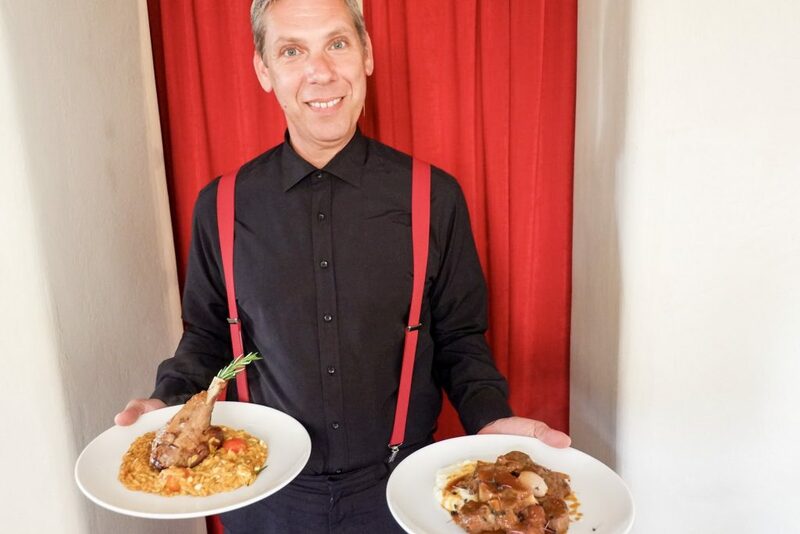 But as he amassed more and more local and international vintage, he realized that he could pair his passion for food with his excellent selection of wine. Thus was born the establishment we walked into. Our meal began with a very tender meat dish paired with Ouzo, a traditional Mediterranean drink flavored with anise. We also had bread that is paired with some delicious olive oil and Greek yogurt. One excellent thing with Sphinx is that they try to do farm-to-market as much as possible. We learned that Sphinx has its own farm where most of the ingredients come from! This is great, as this means every meal served comes from meat that is not only fresh but is also up to the owner’s standards. And while it doesn’t seem much, the olive oil that went with our meal is a must-try that I really loved! Next on our table was fava with octopus, and some gin tonic. 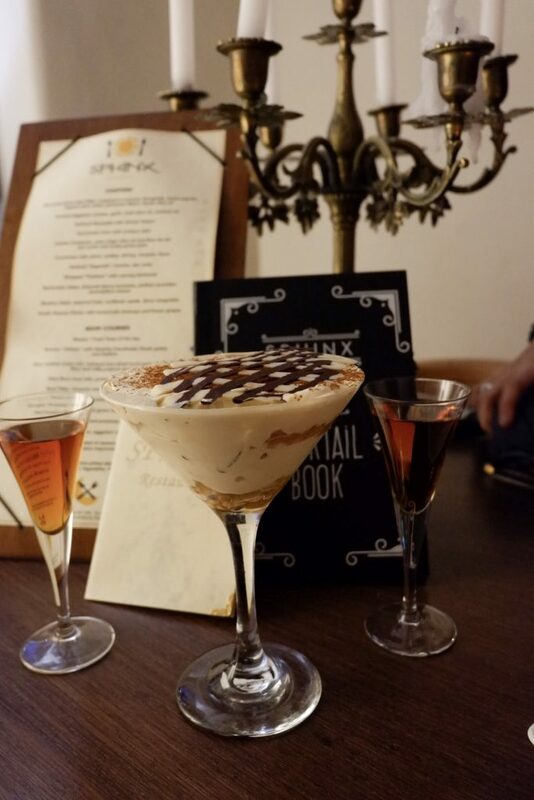 We also had some cheesecake dessert cocktail. 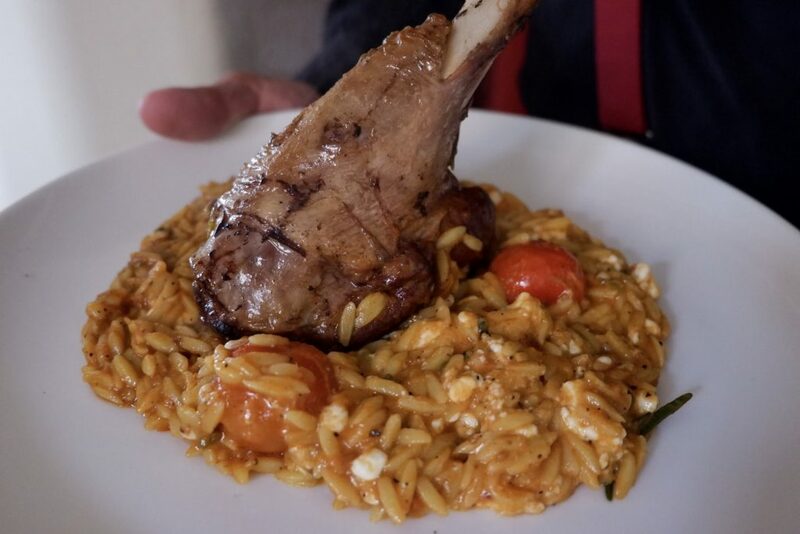 My favorite turned out to be the Risotto of the Day, which even had lamb! At first it looked like pasta, but it was risotto — and it was so good! Even my companion, who was never a fan of lamb, enjoyed this one because she claimed it did not have that specific after-taste she disliked. Our meal ended with a couple of Greek desserts. 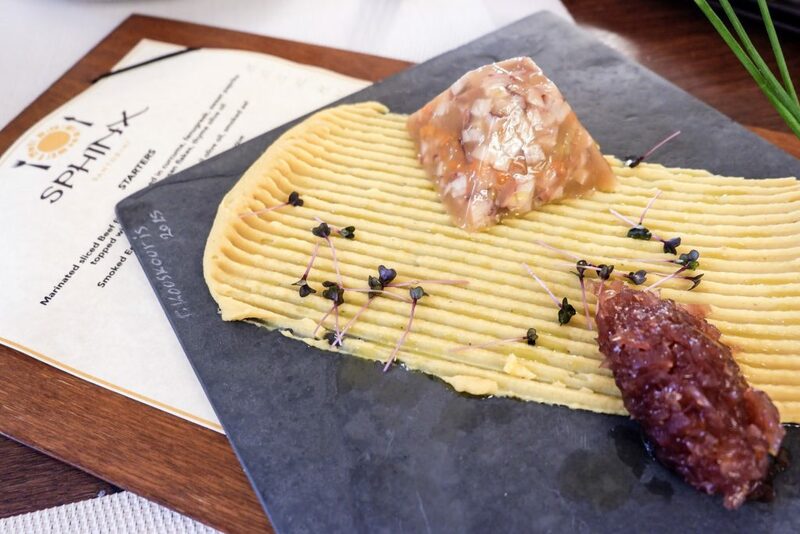 Aside from the great pairings of food and wine, one of the things that made our dining experience stand out was the beauty of everything. Sphinx is not in a crowded area, but tucked away in one of the back alleys of Oia. Despite that, it had some stunning views of the surroundings, especially if you were dining outside on the porch area. The entire restaurant has a classy vibe, showing off the Greek elements in the design. Even the food on the plate was presented in a first-class manner, looking every bit as good as it tasted. Of course, the service was five-star, too. Andreas and Labros, our servers, were just awesome. Eleni, the owner, was also great! She helped us choose with her recommendations. You can find touches of their amazing service everywhere, from the blankets they lend out if you were cold in the porch area to the Coravin method of pouring wine to avoid oxidation before you drink it. The service had a real personal touch, which was probably heightened by the fact that we went in there at a less busy season. What was cool was that when we passed by the street the next day, they recognized and greeted us! It’s this kind of lovely service that would make you come back to a place again and again. True, it’s a bit pricey, but for all we got, it was more than worth it.